For more information, participating restaurants, the full schedule of events, and to make your reservations for the 23rd Vallarta Festival Gourmet, visit FestivalGourmet.com, or call 52 (322) 222-2247. Puerto Vallarta, Mexico - Attention Foodies! Festival Gourmet International Vallarta, the annual food and wine event that has been tempting the tastebuds of Banderas Bay area residents and visitors for the last 22 years, returns to Puerto Vallarta from November 10-19, 2017. A Puerto Vallarta tradition, the annual Gourmet Festival features renowned international chefs who come to share their best recipes with talented chefs at some of the finest restaurants around Banderas Bay - and beyond! - for the enjoyment of both local and visiting lovers of fine dining. Since its inception in 1995, half a million foodies have been delighted and nearly six hundred celebrity chefs have participated. And though the original format remains unchanged, the Festival has expanded to include restaurants of the highest category in the Riviera Nayarit and Tepic. In fact, 28 restaurants and hotels throughout the region are participating in this 23rd edition. Those who are familiar with Puerto Vallarta's annual Gourmet Festival can expect some of the same spectacular festivities you've come to know and love - like the Chef's Table and Winemaker Dinners, the Gourmert Safari and the fantastic Sunday Brunch - along with a few new events, like the Grand Gourmet Village in the Vidanta Nuevo Vallarta's new convention center on November 10 and the Pool, Champagne and Purple Mind Party, a colorful, playful, and very exclusive LGBT experience at Mantamar Beach Club on Sunday, November 19. Do your palate a favor and visit this year's Gourmet Festival in Puerto Vallarta, Mexico. You won't regret it. In fact, you'll never forget it. These events sell out quickly, so early reservations are advised. 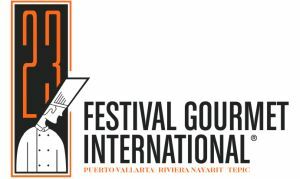 For more information, the list of participating restaurants, the full schedule of events, or to make your reservations for the 2017 Puerto Vallarta Festival Gourmet, visit FestivalGourmet.com, call 52 (322) 222-2247 or send an email to inform(at)festivalgourmet.com.